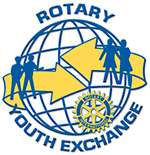 The three Yakima Rotary clubs will hold an informational meeting for potential 2015-16 outbound exchange students on Tuesday, September 9th, 7:00pm at the YV Tech Skills Center located at 1120 S 18th St. This meeting is for both interested students and their parents. For additional information you may contact Downtown Youth Exchange Chair Leanne Antonio at 509-949-6916.